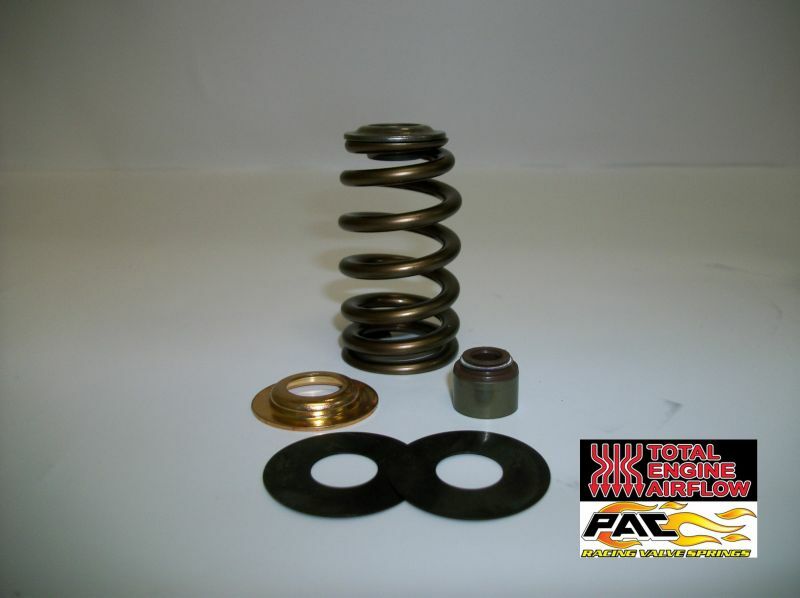 PAC racing 1518 springs included in a kit with a separate locator and seal rather than the factory integrated locator and seal. the valve guide. 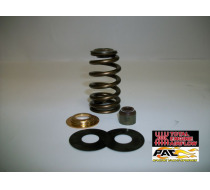 The locator also fits the spring tighter which results in less spring walk and deflection. Also included is a set of .015 and .030 shims. Factory steel retainers not included.